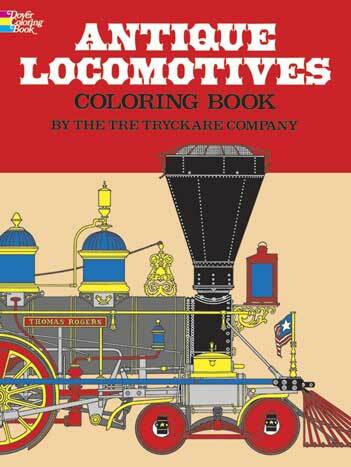 This soft color coloring book is an outstanding selection of 43 drawings by the world-famous firm of Swedish illustrators Tre Tryckare AB (Three Printers, Inc.), depicting a fantastic array of classic locomotives. There are the English Rocket (1829) and Evening Star (1960); the American Pennsylvania (1863), Matt H. Shay, and Zephyr (1934); and numerous other locomotives of great historical interest from these and other countries. A caption is supplied for every illustration.